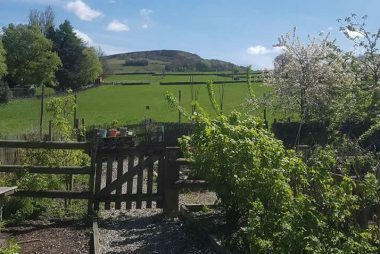 We are a family run Day Nursery and Pre-school occupying a beautifully restored barn, located in the heart of the Holme Valley, between New Mill and Holmfirth, just off the A616 Sheffield Road. 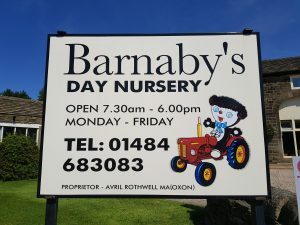 Barnaby’s Day Nursery offers a unique outdoor approach to learning and provides rich, developmentally appropriate resources and activities in a safe, stimulating and homely environment. We pride ourselves in providing the highest possible quality of care, and have strived to make Barnaby’s Day Nursery the next best thing to being at home. We offer full and part time education/care for children from birth to 5 years, including 2 and 3 year old FEEC (Free Early Education and Care). It is one of the best decisions I have made to send my daughter to Barnaby’s. She absolutely loves going to nursery and I drop her off and leave without a second thought…the sign of a nursery doing a fantastic job. She is relaxed and happy in the caring and stimulating environment they have created and this is allowing her confidence and development to fly. The setting, food and activities are amazing. 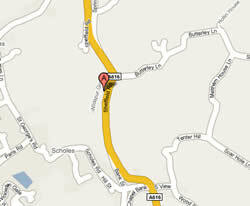 I cannot recommend this nursery enough! 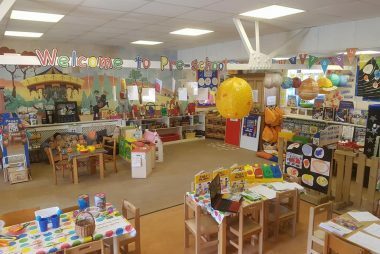 Fantastic nursery, my little boy has loved it at Barnaby’s, the staff are amazing, patient and caring. 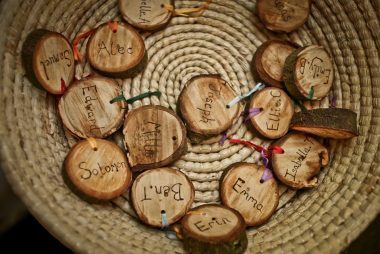 The indoor and outdoor facilities are great for all ages and the forest school is icing on the cake. I cannot recommend it highly enough.